Sweep up and texturize your hair for 24HR De-Constructed style that looks done-yet-undone. Get touchable control with a subtle, satin finish. Move It gives you roughed-up looks with texture and body that are non-tacky, not stiff or weighed down. 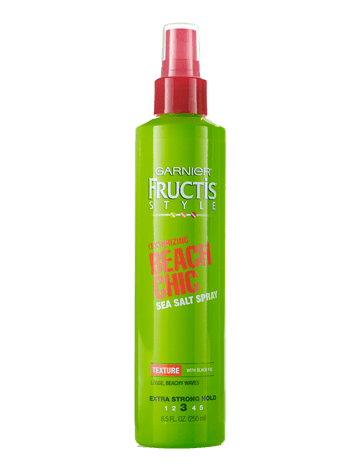 HOW DOES IT WORK Move It Manipulating Gel, with black fig, is a sheer-texturizing styler that uses a lightweight, creamy gel texture to create defnition and control that doesn't clump hair or leave it too slick or too shiny. Rub dime-size amount of manipulating get between palms. Work product through damp or dry hair and style. Rated 5 out of 5 by Jackie Beat from PLEASE BRING IT BACK!!! I will never understand why certain things get discontinued?! Do you even care about consumers opinion? If YES,bring it back,as simple as that. THANK YOU!!! Rated 5 out of 5 by 1950GMA from Please, Please Please bring it back I have used this product for the past 2 yrs and love it. I was so disappointed when I found out it was discontinued. I have one left!! Please reconsider. We need this back on the shelves. Rated 5 out of 5 by momtoanangel from Why oh why I can't believe you discontinued this product! When searching for it you suggested something "even better' which is Pixie Play...well, I have Pixie Play and I hate it! Please, please, please bring back move it! Rated 5 out of 5 by Heartbroken from Move It Manipulating Gel Move It Manipulating Gel - I loved it when i found it and now it is gone. Was there something harmful in it? If not, PLEASE BRING IT BACK. Rated 5 out of 5 by Andi1 from PLZ BRING BACK!! I switched to this product after another Garnier product was discontinued so imagine my disappointment when this was discontinued. I have fine, curly hair & all other products weigh my hair down. PLEASE bring back!! Rated 5 out of 5 by Pebblesmommy from Best product around Why would you discontinue this product? This was the best stuff around. The only product that would hold my style. I have tried your other items and nothing works. I am so disappointed. PLEASE PLEASE BRING THIS ITEM BACK!!!!!!!!! Rated 5 out of 5 by Tinap814 from Perfect hold for my curls Super hold gel that holds my curls in the humidity. There are very few products on the market that are affordable that work in my naturally curly, frizzy hair. This is one of them, however I can't find this in stores anymore. Rated 5 out of 5 by charliecat31 from Adds do much volume I've always had fine, thin hair, but I'm starting to struggle with thinning hair as well. This incredible product makes it look like I have twice as much hair!!! I use it all over and then even go back and add a little extra to the places I'm having the most issue with. It adds body and makes my hair easier to style and holds it's style. But for me, most importantly it adds heart to my hair - yet it doesn't weigh my hair down. They really should focus more attention on this being a product that makes hair appear thicker and more abundant. An amazing product! !